Human Rights Day, observed around the globe on 10th December, provides an opportunity for Ireland to celebrate our progress in the area of human rights, while also highlighting areas for improvement. There are close to 6000 people, including over 1700 children, currently living in substandard conditions in 38 Direct Provision centres across the country whose human rights are not being fully realised. Direct Provision was introduced in 2000 as a short-term solution to the growing number of people applying for asylum in Ireland. Today, the average resident spends 24 months living in Direct Provision, where they have little privacy or autonomy and are physically and socially isolated from Irish society. 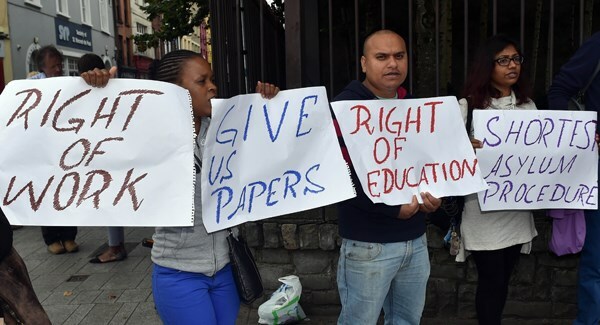 Many residents of Direct Provision cannot cook for themselves, have limited access to transportation, and those ineligible for access to labour market are unable to contribute to society or provide for their families. “The Direct Provision system creates a cycle of institutionalisation that is not in line with our country’s duty to uphold the rights of people seeking international protection in Ireland,” said the Doras chairperson. Doras continues to advocate for the establishment of an alternative reception system that respects human rights. In the meantime, Doras will continue to provide support to residents of Direct Provision in the Limerick area to ensure their rights are being respected and upheld. This year, Doras launched a Christmas Appeal for donations in order to provide each local resident with phone credit to call friends and family abroad this Christmas. To find out more about Direct Provision, or to donate to our Christmas Appeal, please visit www.gofundme.com/doras-xmas.